As its plan to release 1,000 original movies and tv series by the end of 2018 reaches the halfway point, Netflix’s June offerings are, as they have been for a while now, heavy on the original content. There’s some good stuff in there, too: OG true-crime phenomenon The Staircase debuts new episodes on June 8, and Michelle Wolf—whose controversial White House Correspondents Dinner set was the best publicity Netflix could have ever asked for—debuts her weekly series on June 2. 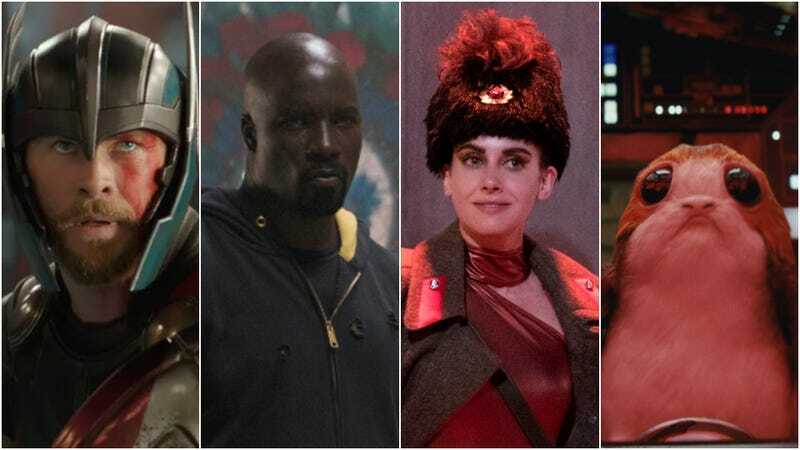 The second season of Marvel’s Luke Cage comes to rumble on the streets of Harlem June 22, and while you’re in a fighting mood, the ladies of GLOW return for a second season on June 29. Of course, big guys like Luke Cage, the Hulk, and Chewie take up a lot of space, and so some titles will have to step aside to make room. You have until June 25 to watch (or re-watch) Captain America: Civil War, but only have a week to catch up with Men In Black, While You Were Sleeping, or, um, The Angry Birds Movie before they’re gone. The complete list is below this sizzle reel. Netflix originals are denoted with a single asterisk, while Netflix films are denoted with two.